One of the biggest challenges of running a retail supply chain is inventory replenishment. For many operations, high volume products need to be replenished on short notice during demand surges. Also referred to as just-in-time inventory replenishment, such surges can occur during predictable periods (i.e., holidays and peak seasons) or on a regular basis for a company that steadily moves a product. To ensure that they can meet just-in-time inventory demand, many retailers have to maintain a continuously flowing supply chain that feeds their distribution centers or utilize warehousing. Each of these practices, however, has its own set of drawbacks that supply chain managers should think about. Betting entirely on the idea that a continuously flowing supply chain will not encounter disruptions is very risky. A number of events, including truckload capacity crunches and winter weather, can easily bring operations to a halt. Businesses that utilize on-site storage have to take space and manpower into account. For those that use off-site or third-party warehousing, issues such as inventory visibility and service provider rates can create an imbalance between productivity and costs. One innovative just-in-time inventory supply chain practice that is gaining attention from retailers is the use of warehousing space at a transportation provider’s truck terminal or service center. This unique approach to just-in-time inventory replenishment can work in a few different ways. Dock Space Storage: Some carriers can provide available dock space to store inventory. This allows the dock workers to quickly load shipments and send them on their way to a final destination. Trailer Storage: Trailers can be utilized as a mobile storage unit, which is kept on the carrier’s property. With the freight already loaded, this method allows the carrier to quickly make an inventory replenishment delivery. One of the key benefits of utilizing a carrier for warehousing is that it can streamline a retailer’s supply chain strategy. Rather than having to call in a carrier to an off-site warehouse, which results in additional mileage fees, the carrier becomes the delivery origin. While using a carrier for storage can help streamline and cut costs to a just-in-time inventory strategy, there are several questions that should be considered. Inventory Visibility: Like any off-site product storage or distribution operation, inventory visibility is detrimental to maintaining a top-performing retail supply chain. You’ll find that most traditional carriers lack the technology to provide inventory visibility. 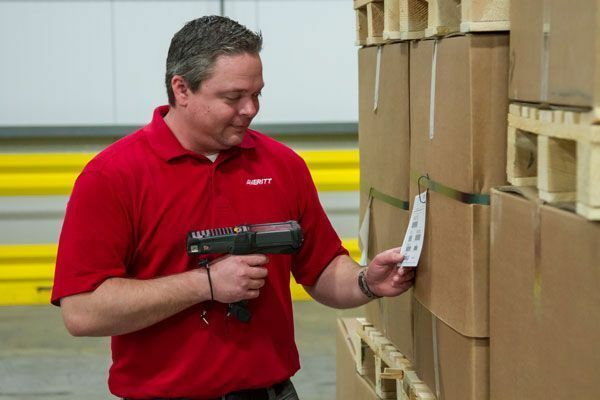 However, some service providers, such as Averitt, offer inventory and warehouse management system (WMS) solutions and can even integrate a company’s preferred system. Protection: Many truck terminals are not enclosed, which can lead to potential damages from weather. Nonetheless, some docks are walled off for the very purpose of providing a safe and secure storage area for freight. It’s also important to learn about the security standards that a carrier has in place. For example, ask your carrier if they have security cameras in place. Location: As is the case with any off-site storage operation, utilize carriers that have facilities that are in good proximity to your distribution center. Depending on your delivery point, turnarounds on inventory replenishment orders from a carrier-aided warehouse could take only a few hours. As retailers and other shippers look to maximize their supply chain efficiency while minimizing lead times, a carrier can fill in parts of the puzzle that they might not have considered before.